That it did what it said on the tin. That the 2-3 day express delivery option meant that you had to persnally sign for the goods and they will not contact you in advance of arriving at the door. It took 8 days to receive.. This has proved to be a real boon. Saves on plugs especially when I went abroad and sockets and adapters were in short supply. Sorry to hear that you are having problems with this product, would it be possible for you to contact our customer service department who will be able to assist your further? It would have been good to have been able to have bought two cables along with the plug. Love the fact I can plug my iPad and phone into one plug socket to charge them. 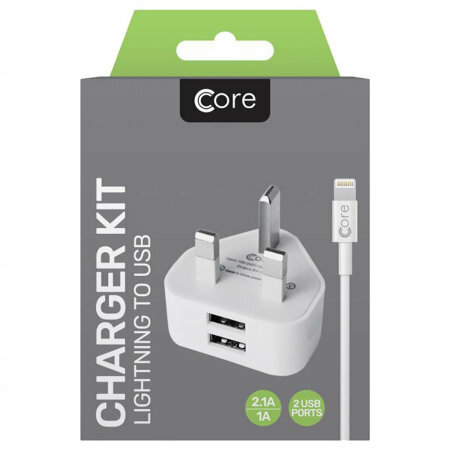 What a good idea this is one plug to charge android and apple bought this as old apple lead has broken YET AGAIN for my husband's ipod it's so cool my 12yr old grandson has swiped it I'll have to order another would def recommend! !